Many women either are natural these days or are considering going natural. I have clients all the time that tell me they are going to go natural. It seems like as soon as women with relaxed hair get any kind of damage to their hair, going natural is their answer for that. It is like there is some kind of unspoken rule that states natural hair equals healthy hair. While I do agree that most women who have natural hair do have healthier hair than their relaxed haired counterparts, I do not agree that you have to be natural to have healthy hair. Take me for example. 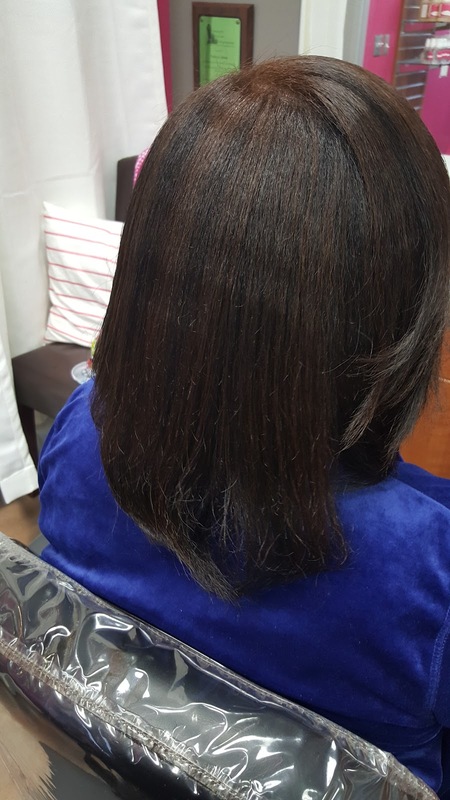 I have had relaxed hair for as long as I can remember and I love my hair relaxed. My hair is long, healthy, and thick! Now, have I ever had any damage to my hair at all that was related to me having a relaxer? Yes! But that was because I was doing things to my hair that should not have been done to relaxed hair. I had no idea what I was doing because it was way before I even gave serious thought to becoming a hairstylist. I simply thought I could copy what I saw my hairstylist doing because it looked so easy. I was in college which means my funds were extremely limited (aka I was broke!) so I figured it couldn't be that hard to take matters into my own hands. But not once during all of my experimental years did I think to go natural. Why? Because I always knew that my relaxed hair could be healthy. I'm not knocking anyone for wanting to go natural. As a matter of fact, I do not encourage my clients either way. If they say they want be relaxed I support that decision and if they say they want to go natural I support that decision as well because I can keep the hair healthy in either state. 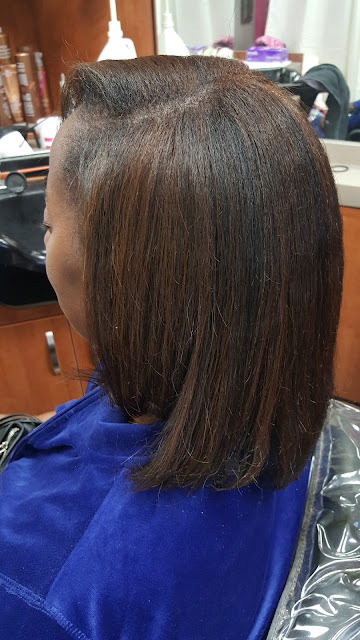 When going natural though, I find that many of my clients do not really think it all the way through. They simply say they are going natural just because it sounds good. Today I want to help you make an educated decision if going natural is what you are considering doing by giving you three things to think about before going natural. 1. How do you plan to become natural? Are you going to do the big chop or transition? This is something to think about when going natural. Many women do not want to fool with two textures of hair so they choose to chop it all off up front. 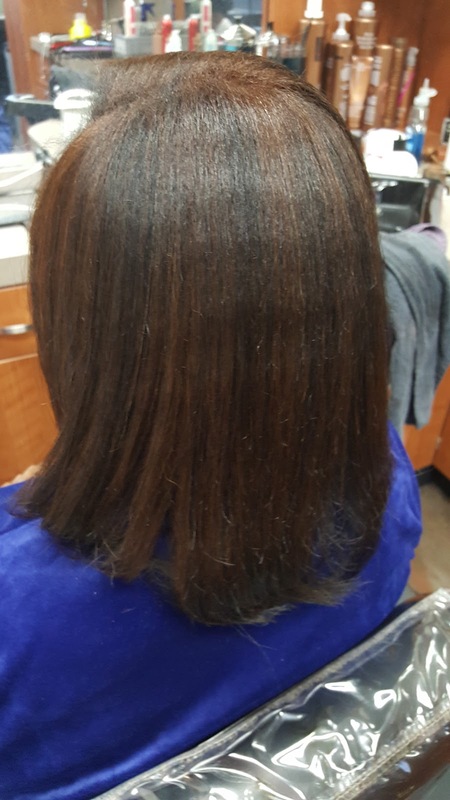 Others are not comfortable with cutting that much hair off so they gradually grow it out and transition into becoming natural. going to wear your hair straight or are you going to try natural styles? 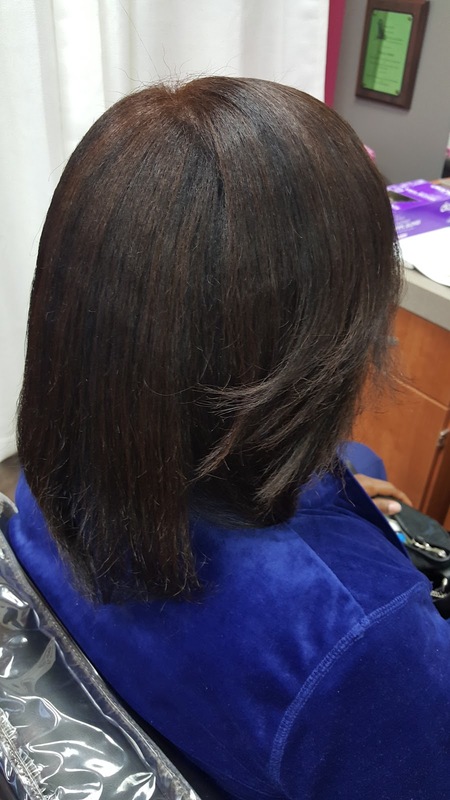 If you do not have the hair texture that you think you have, it may take a little work to get the styles you want by twisting or braiding your natural hair at night. 3. Are you committed to doing a little more work with your hair? Being natural takes work! Many women are fooled into thinking they can simply get up and go when they have natural hair. Wrong! Majority of women do not have the texture they think they have! 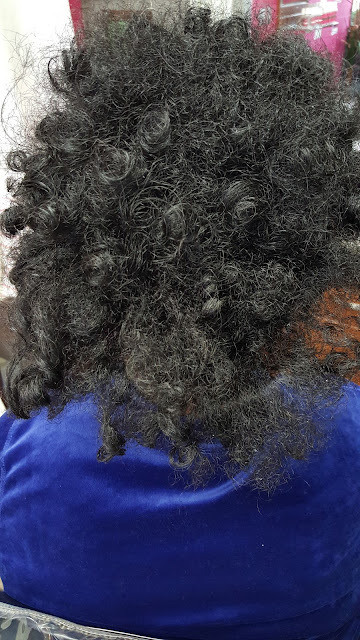 If you have to do a twist out, or even if you are simply doing a wash and go, it is something that you may have to do on a daily basis to get the desired results. Much more work than just simply wrapping your relaxed hair. Be sure you can commit to this because the last thing you want is to be looking crazy by the head because you were to lazy to put any effort into doing it. 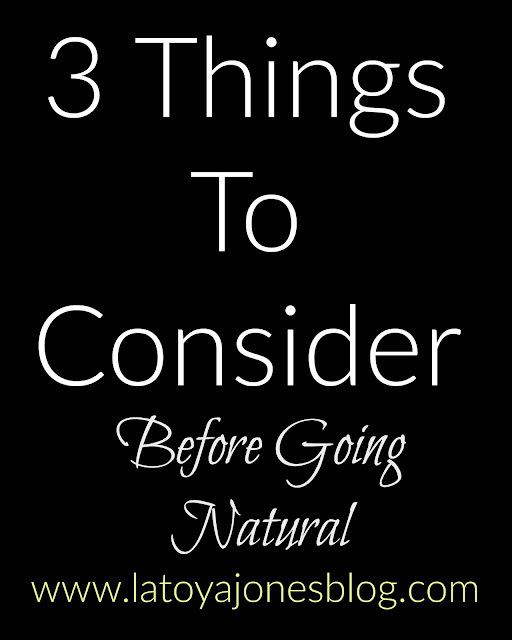 These are only three out of many things to think consider before going natural but there are many others. However, if you can at least answer all of these questions first, you may be ready to take the leap into natural land. I have seen many of my client try and fail to become natural only after a few months simply because they did not think it through. They simply said what they thought sounded like a good idea at the time. Remember, whether you are relaxed or choose to be natural, the ultimate goal is healthy hair! As long as your hair is healthy, it does not matter what route you take to get there. All hair can be good hair!